Chance to Shine is a charity whose scheme was first launched in 2005. Chance to shine have a belief in the power of cricket and want every young person in the country to have the opportunity to play and learn through the sport. Chance to Shine funding subsidises the free element of our cricket delivery allowing us to provide value for money with our high quality programmes. In Leicestershire this programme is delivered by a team of Cricket Development Officers employed by LCCC Community Team who are well supported by coaches from clubs across the county. 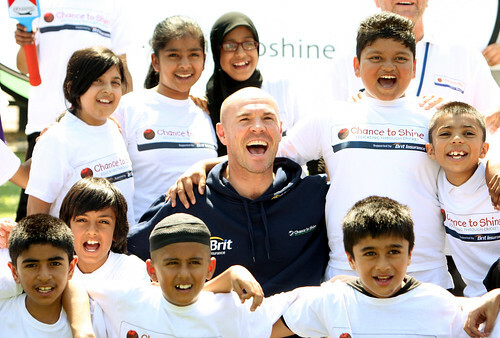 Chance to Shine is a fully inclusive programme and as such LCCC delivers cricket to boys and girls in mainstream and SEND state schools including SEND units and schools. We also aim to establish and develop existing links to clubs that cater for all groups. LCCC delivered cricket in 88 schools in 2017/18 and will be targeting 71 Primary schools in 2018/19 in order to offer cricket to children and young people at the appropriate level. Leicestershire County Cricket Club’s Community Team are working with ECB to deliver Female Softball Cricket Taster sessions at Secondary Schools with a focus on extra-curricular delivery. Delivery is targeted at young people aged 11-16. Schools are able to access a limited amount of coaching resource for secondary schools outside of this programme. What are the aims of Secondary School delivery? This year we are asking all schools who take part in our School delivery programme to complete a feedback survey so that we can continue to improve our offering and deliver what is needed in schools in Leicestershire and Rutland. As part of the School delivery programme LCCC helps schools develop the leadership skills of their students. Our Young Ambassadors programme is intended as an introduction to leadership for Primary school aged pupils. Responsibilities range from organising kit to scoring match to promoting the Spirit of Cricket message in their school. The Young Leaders programme includes LCCC run courses in scoring and umpiring matches. Young leaders identified through this programme can then enter into the Vcricket volunteers programme and use these skills in competitions for younger pupils. Every year the Cricket Foundation set a date for a week of cricket themed activity both in the classroom and in the playground – for schools right across the country. This is day is known as “National Cricket Week”, it is absolutely free to get involved and open to all schools and cricket clubs. Yorkshire Tea National Cricket Week is an opportunity to celebrate the success so far of Chance to Shine. Chance to Shine provide educational resources that are free, easy to use, informative and, most importantly, fun for both teachers and for pupils. In 2012 Bridge Junior School hosted a showcase event supported by Leicestershire legend and former England player Paul Nixon. To read more about this great day please click here.